SMX Advanced is fast approaching — come June 11, SEOs and Internet marketers will flock to Seattle for the much-anticipated conference. Bruce Clay, an official SMX training partner, is gearing up for his SEO Training workshop and Jayme Westervelt is working out her fingers in preparation for some serious liveblogging action (check out our liveblog schedule). With more than 30 sessions focusing on organic, paid, local and mobile optimization, Internet marketers can’t wait for SMX Advanced — we can’t wait either … which is why we bring to you the SMX Advanced 2014 Series. This series will highlight select SMX Advanced speakers. They’ll give us a sneak peak at their top Internet marketing insights they’ll be sharing at this year’s conference. Today, we’re putting Lisa Williams, director of digital marketing strategy at Search Discovery, in the hot seat. Williams, an Internet marketing veteran with more than 17 years of experience, has been featured in publications such as Glamour, The Boston Globe, Kiplinger, and the Oregonian, and shared her expertise at conferences across the world. Williams is a featured presenter in 25 Social Media Ideas For The Advanced Search Marketer (June 11 at 9 a.m.). This session will feature actionable ideas and techniques that will help you implement and optimize that sweet spot where search and social intersect. Read on for our exclusive interview with Williams! We love your Twitter handle @SEOPollyanna! Thank you! I love it, too. 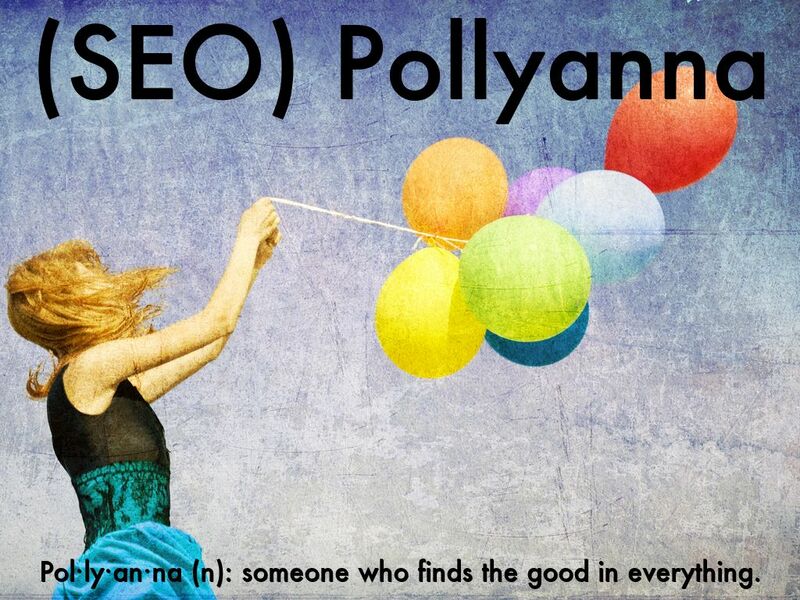 It came from a client telling me that my sometimes-irritating “Pollyanna” approach to SEO kept us from getting removed from the index at a time when we faced a lot of competition … We kept doing the right things and it ultimately paid off. Tell us about the “good” in social media for search. Search engine focus on context makes social channels the perfect complement for search marketers who are truly embracing semantic search … own the brand story and share it consistently in relevant social channels. What do you think is the search marketer’s biggest misconception when it comes to social media, and what advice would you give? Some SEOs see social as one more place to enforce keywords or just one more place to dot the i’s and cross the t’s on optimizing content. When we look it at that way we really limit the value of social on search. What are some examples of brands doing it right when it comes to mixing search and social? Good collaboration for search and social begins with investment in the overarching communications/content strategy. I love Ric Dragon’s (author of “Social Marketology”) call to “know and own your story.” Once you do that well, the rest becomes a lot easier. REI does this beautifully. They are a member-owned co-op, which drives customers to be vested in the brand. They share their love of outdoor adventure and stewardship. There’s no question about who they are and what they care about. Then they invest in the more technical side of where search and social collide. They’ve leveraged rich pins on Pinterest to make sure pinners have up-to-date product information at the social source. Super smart. When we talk about brands, we often think of big brands, but brands large and small can do this well. Nightmares Fear Factory invests in social to grow their brand by knowing which channels and assets they want to invest in and using their skill of scaring the bejesus out of people to drive their storytelling. Their titles and descriptions are great marketing collateral. 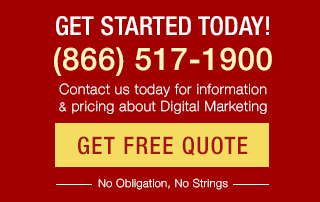 They leverage search keywords second to, but supportive of, their SEO goals. They’re not doing it perfectly, but they know what they’re trying to accomplish and stay committed to that goal. We hear you are getting close to publishing a book … tell us more! Yes! 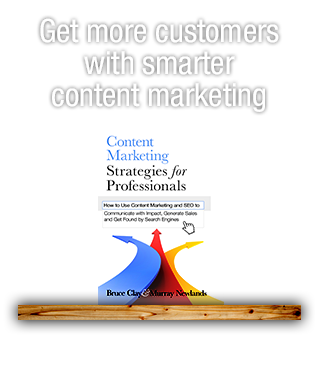 It’s called “Sustainable Online Marketing” and I’m launching it at Content Marketing World in September! I started interviewing people four years ago to get a better understanding of what makes good client/vendor relationships sustainable. It evolved into something way bigger and frankly, more relevant, to the issues facing brands and digital marketing today. This space is full of really interesting, bright marketers. I learned so much from the 52 people I interviewed. I’m so grateful for the inspiration provided from every person who took the time to talk to me. We hear you like the concept of checklists … tell us how search marketers apply this to social media. Do you have any favorite tools or platforms that make the search marketer’s life easier when mixing in social media? Prior to my life as a marketer, I was a reporter and was always fascinated with how data drives storytelling and vice versa. Any tooling that helps us take storytelling/content and facilitate extraction of data that shows the value, engagement, trending around content is helpful. I love the influencer identification and outreach tooling in Linkdex for helping quantify something as qualitative as influence and authority. I love Kapost as tooling for ideation, creation, publication, promotion and measurement of content. Search and social will work better together as they are both incentivized to see how content impacts social reach and SEO influence. It would be awesome if there were one super platform to tie it all together, but those are great tools that are part of a great “Swiss army knife” for measuring value of content, search and social. What are three actionable tips to help brands manage their search and social in 2014 and 2015? 1. Invest in your story. Ask the question, “Does every content stakeholder know our content goals and priorities?” It amazes me that so many companies say, “We don’t need a content strategy,” then wonder why no one is interested in the unplanned, undocumented, uninspired content they are pushing out. 2. Invest in storytelling. Leveraging storytelling to dominate context through authorship around a specific topic/category is going to become more and more powerful for search. Don’t let just SEOs drive keyword seed lists; make sure there’s collaboration with brand, content, PR and social. Invest in the great authors who tell the great stories and give them a place at the marketing table. 3. Break down silos. Our customers see us as one entity, as a brand. Having lots of different teams with different goals, different channels and different messaging is bad for searchers. The better your team is at collaboration, the better the customer journey will become, regardless of channel or device. *Bonus Tip: Learn the difference between content strategy (the how and governance) and content marketing (the to whom and why). What worked last year that does not work today in search and social? Not sure this is “over,” but reporting search and social success as pageviews, visits or shares should be well on its way out. What matters is real engagement and brand affinity. There was coverage a couple months ago about the low level of social media interaction with Coca Cola’s Journey content. The Coca Cola Journey team responded with statistics around time on site consuming content. They noted that the consumption metric coupled with a very low bounce rate (just over 10%) were the more important KPIs (specific to their “Unbottled” blog). They’ve even created their own aggregate measurement called Expressions of Interest (EOI) scoring that assigns a quantitative value based on referrals from SEO, shares, traffic, social, etc. That’s a brand that knows what they want to measure and how that enforces brand goals. 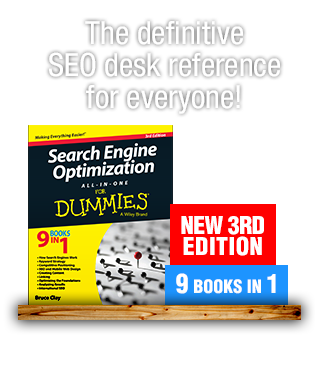 What are your top three favorite books re: Internet marketing? Who, besides you, are the top three Twitter users to follow for search and social insights? @jonathancolman: Jonathan straddles both universes of search and social with so much skill and insight. I don’t know a better technical SEO with such love and understanding of content. @heidicohen: Heidi’s advice is so approachable. Her directives make you feel like you could execute against a recommendation rather than walking away thinking “that’s aspirational”. @popforms: This feed isn’t about search and social insight, but leadership insight. At SMX West, Brian Clark (@copyblogger) spoke about SEO growing up as an industry. Part of that growing up has to include learning how to lead. There are a lot of smart people in our space; now it’s time to make a commitment and focus on great leadership that nurtures the smart young people joining the industry. Twitter. It’s my go-to because it’s manageable and easy to make relevant to my interests. If you organize it the right way, it’s like a good party. Thanks Lisa — see you at SMX Advanced! Storytelling is a great skill! Loving it!